A long, long time ago when I was younger and my children were still in high school, my son fell in love with all things military. War was nothing new to me. I’d cut my teeth on WWII. My father went over the Kokoda Trial without a scratch – needless to say, he never said a word about it, except to my old Uncle Charlie, who’d been in the trenches in WWI. With the star-struck son, it was different. 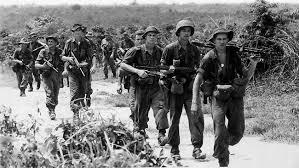 I saw every Vietnam war movie ever made. I got to know the kinds of choppers used in Vietnam, and also in Korea — even what kinds of choppers the police were currently using to search for marihuana plantations in the hills in the northern rivers. I learned about post-traumatic stress disorder and what (and what not) to do about it. My son’s passion lasted around four years and fizzled out, thank heavens, before he was old enough to join the army. 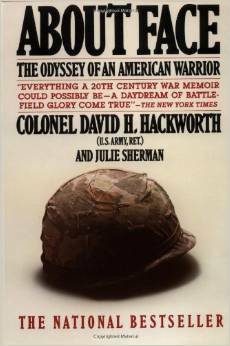 While it was still at tornado force, I bought him one Christmas a memoir by Colonel David H Hackworth (US Army), co-written with Julie Sherman and called About Face: The Odyssey of an American Warrior. Hackworth was famous, and one of the most decorated soldiers who ever lived. Some people credited him with being the model for Colonel Kurtz, the role played by Marlon Brando in Francis Ford Coppola’s Apocalypse Now; others more reliably credited him with being the model for the gung ho commander of the helicopter unit immortalized in the movie by Robert Duvall. Hackworth did command a helicopter unit in Vietnam at one stage. His journey from all-American warrior (he lied about his age to get into the post-WWII occupying forces in Berlin at 15) to his public rejection of the Vietnam War in 1971 makes fascinating reading. Unlike my son, I never fell in love with the military, but I did fall somewhat in love with Hackworth, and my little story “Remains to be Seen”, which was lucky enough to win the Ulitarra-Scheaffer Pen short story Award way back in 1993, is a kind of tribute to the man, although it is not about him. My formatting will always leave something to be desired, but the story (set half in the northern rivers, half in Vietnam) is now up on the web. Hackworth spent some of his later years in Australia, living in Brisbane and later in the country not far from here – another reason for my fascination, perhaps, though I suspect the real reason is that I just have a penchant for warriors. 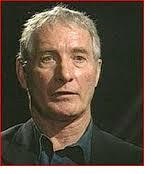 He died at the age of 74. The cause of his death is cited in some reports as bladder cancer, one of the many forms of cancer occurring with increasing frequency among Vietnam veterans exposed to the defoliants called Agents Orange and Blue.